Two days of intense PUBG action ended with a surprise winner. 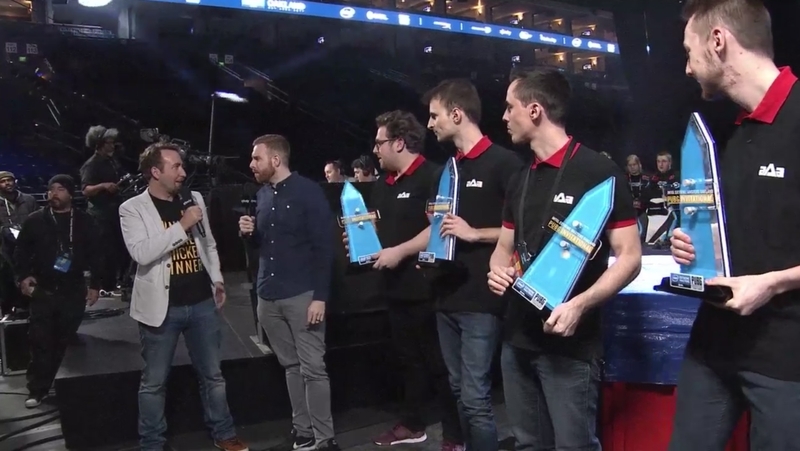 Open qualifier team aAa Gaming (Against All Authority) finished in first place to take home the $60,000 grand prize in the IEM Oakland PlayerUnknown’s Battlegrounds Invitational after a marathon of eight matches over two days this weekend. TSM were in the lead after four matches on Saturday, but all of the teams were close on the scoreboard heading into the final day. It was a battle of attrition moving forward. Sunday kicked off in explosive fashion as Team Liquid won game five of eight, carried by a dominant performance from Keiron “Scoom” Prescott and his eight kills. This victory brought Liquid into second place, all the way up from 10th. Not to be outdone, the sixth game went to open qualifier team aAa Gaming with an impressive showing of 10 total kills, including an intense close-quarters battle with FaZe to end the game. Their victory marked the sixth different team to win the six games played thus far, and it propelled them firmly into first place. The streak of a different team winning each game came to an end in the penultimate battle, as Digital Chaos became the first squad to repeat with a powerful 12-kill victory. The final circles placed numerous teams in a cornfield outside of Gatka, and DC won a hard-fought battle with Noble, who had 15 kills of their own to finish in second place. Having kicked off the tournament with a win in the first game on Saturday, DC made it back in the money with the win, putting them in fifth place as the teams headed into the final game. With just 200 points separating the second-through-seventh place teams, aAa held a slim lead over overall second place team Tempo Storm as the 20 squads dropped for the eighth and final game of IEM Oakland. 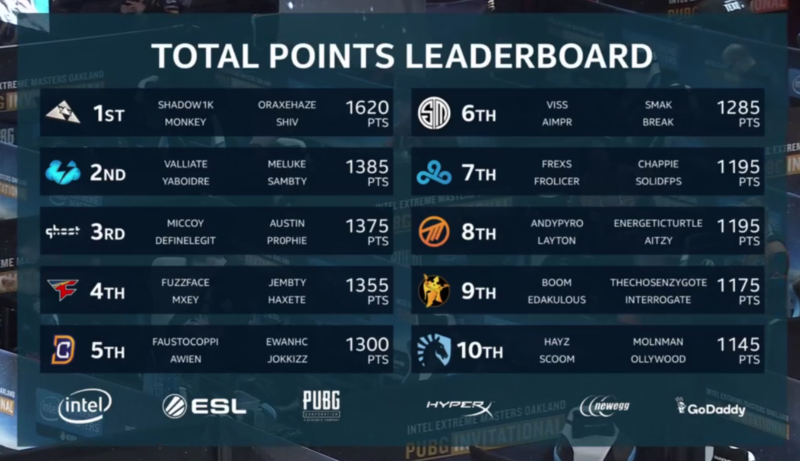 As top teams played somewhat passively to try and retain their spots in the top eight prizing, the final circle ended with a battle between Cloud9 and Ronin Esports. In the end, Ronin survived an attempted one-vs-three comeback by Justin “Chappie” Andrews, whose C9 team finished the game with 17 kills. The heroics of multiple teams in the final game weren’t enough, however, as aAa ended the tournament in first place thanks to consistent placings and just enough kills to set them over the top. In PUBG esports scoring, consistency is key. No team proved this more than Digital Chaos, who were unable to come out on top in the event despite winning 25 percent of the matches played. Poor performances in the other six matches left them in fifth place. Meanwhile, Tempo Storm finished second overall without winning one match, but placing well consistently. If the PUBG Invitational at gamescom was a proof of concept, then IEM Oakland was a statement that PUBG esports is not only viable, but extremely exciting at its best. The best part is that it will only get better over time, with further optimizations to the spectator experience and game itself.